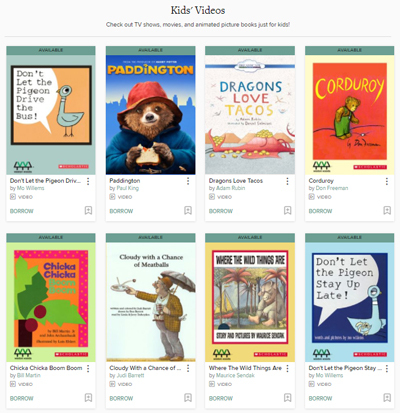 Your library card now gives you access to over 200 children’s movies, TV shows, and educational videos in our OverDrive digital collection. This is in addition to our current offerings of OverDrive e-books and digital audiobooks. Like the other titles in our OverDrive collection, available videos can be checked out for instant viewing. If a video is currently checked out, you can place a hold on it. The loan period for OverDrive videos is 3 days, and just like with e-books and audiobooks, you can return videos early if you hit your checkout limit and want to borrow another title. You can download videos to a device for later viewing, or stream them online with an Internet connection. Need help? View the “Getting Started with Streaming Video” guide from OverDrive. Next Post: Have a Small Business? We Can Help!